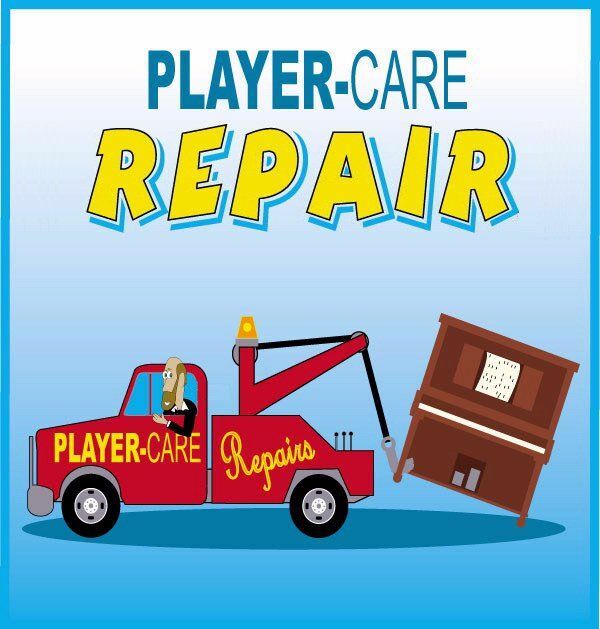 The three major types of gaskets found in player pianos are made out of either leather, cork, or paper. 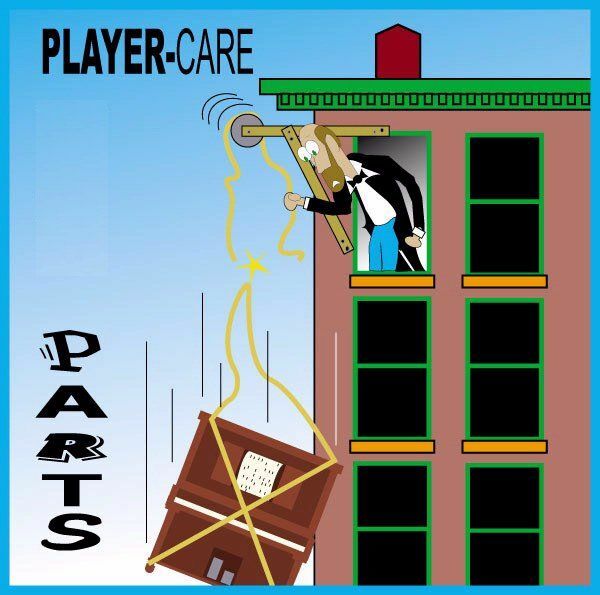 Of those three, leather gaskets are the most common, and in the vast majority of player pianos you will find a leather gasket anywhere that two pieces of wood are joined to each other with screws or nuts and bolts. 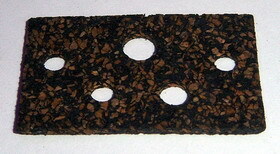 The gaskets we provide are made out of high quality cork, cork/rubber, or blotter paper. They are used for sealing block valves or valve plates to the stack or other pneumatic device. 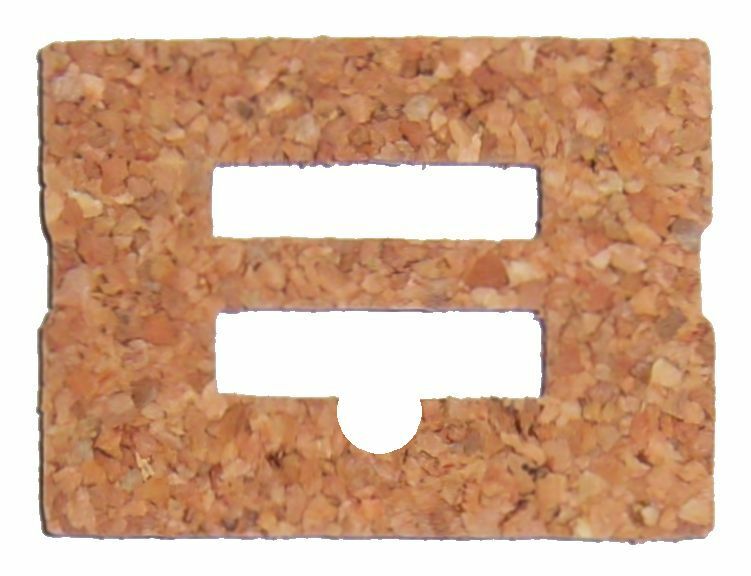 Also, Sponge Neoprene Gasket Material is available in a variety of shapes and Blotter Paper by the square foot. We do not offer leather gaskets. 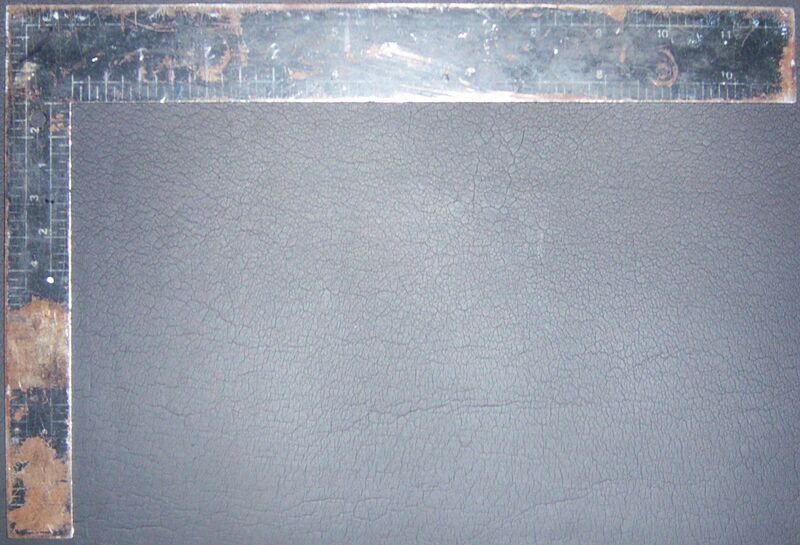 However, we do sell two types of leather (cabretta and packing) that can be used for certain types of gaskets. For other types of leather, we recommend Columbia Organ Leathers. 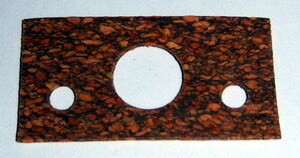 The gaskets listed below are sold individually, or by the dozen, or by the hundred. 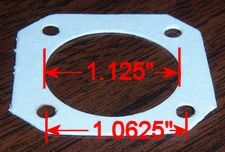 The gaskets pictured below are not to scale. If you need to know the exact dimensions, contact us via the link below. If the gasket you need is not shown here, we don't carry it yet. However, if enough people request a particular gasket, we will consider adding it to our inventory. So, make your desires known. To contact us -click here. When ordering any of these parts, specify the part name or number and the quantity. Please use the Secure Order Form -Click Here. Minimum shipping is $7.85. 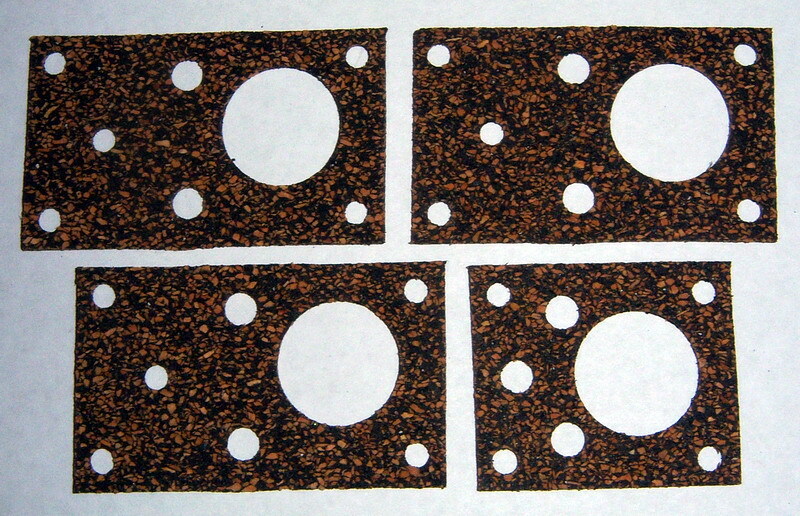 This set of four gaskets are for the four intensity valves on the Ampico 'A' Expression Mechanism (see Page 8 of the 1923 Ampico 'A' Inspector's Reference Book. The original leather gaskets are normally glued to the valve block and must be removed when the block is restored. There are two Crescendo Pneumatics in the Ampico 'A' Reproducing player system. The original gaskets are often glued to the valve block and must be removed when the crescendo valves are restored. 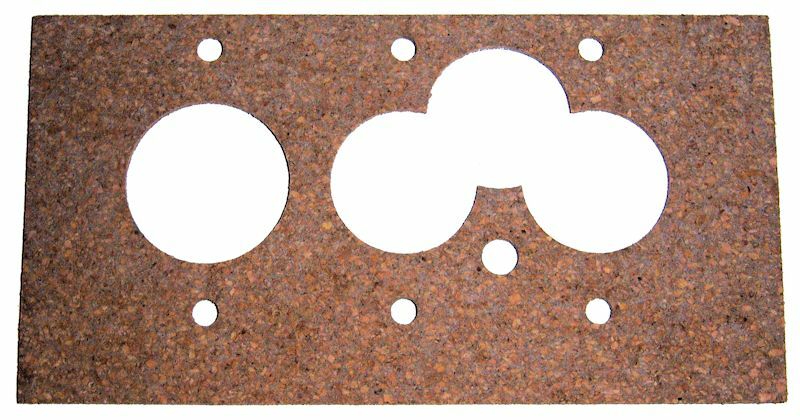 These are the gaskets that are used with the Ampico 'A' block valves in the system that has both primary and secondary valves. 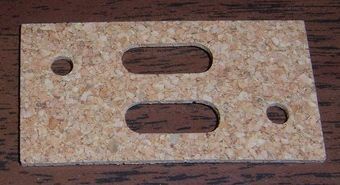 They can also be used with the early system, where the bleed is contained in the block, by punching a notch in the gasket, as shown below, with a rotary arc punch. 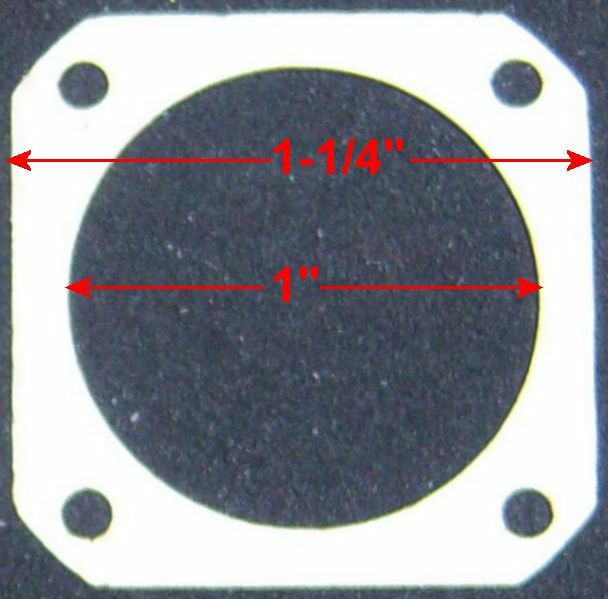 Also the same gasket that is used with the Amphion upside-down block valves. If you don't have a rotary arc punch, we will punch the notch in the gaskets for an additional $0.05/gasket. NOTE 1: It is highly recommended that these gaskets be sealed in place with either shellac, burnt shellac, or an adhesive of your choice. Without a sealant of some sort, air will seep through the material. Also, these gaskets are slightly discolored due to the fact that they are cut with a laser machine. 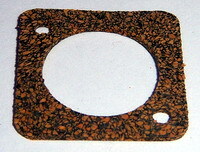 The discoloration does not have any effect on the performance of the gasket. 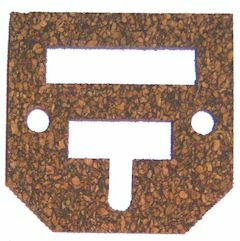 NOTE 2: These gaskets are laser cut from a foam-type material that has an air-tight surface. (It is not closed cell neoprene). During testing, it was found that when compressed using normal pressure, the gaskets did not require a sealant or glue to make an air-tight seal. 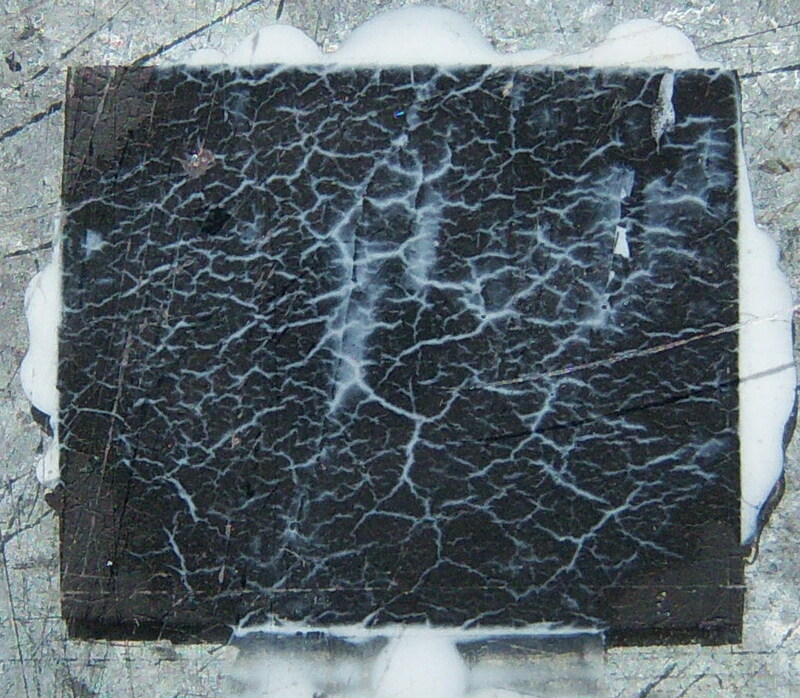 Also, the material conformed very well to slight irregularities in the adjoining surfaces. The material comes in a variety of colors (red, blue, yellow, green, purple). Normally, full sets will be all the same color. We are considering cutting strips that are narrower and longer than those that are currently available. If this is something you might be interested in, please let us know by filling out the special form -click here. Normally, all sizes are folded as necessary for minimum $7.85 shipping cost. 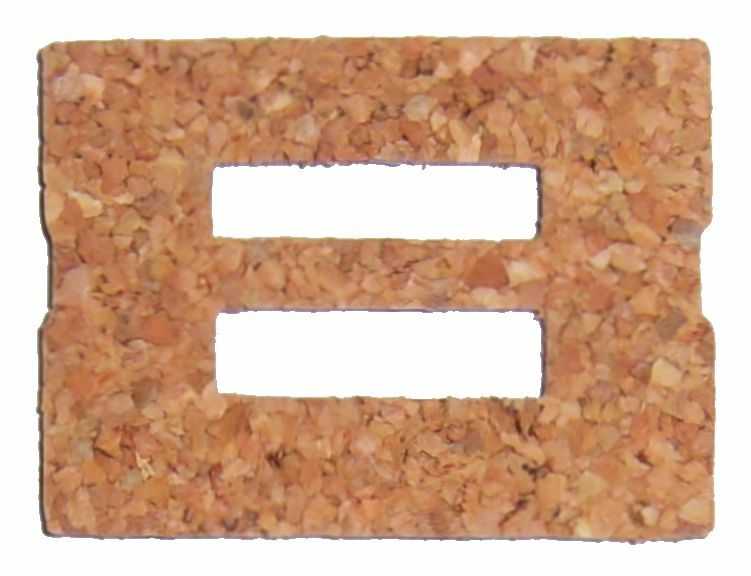 1/8" material can vary +/- 0.025". We're also offering a different type of sponge neoprene material called "Skin". As you can see in the pictures below, it's called 'skin' because it looks like ... skin. 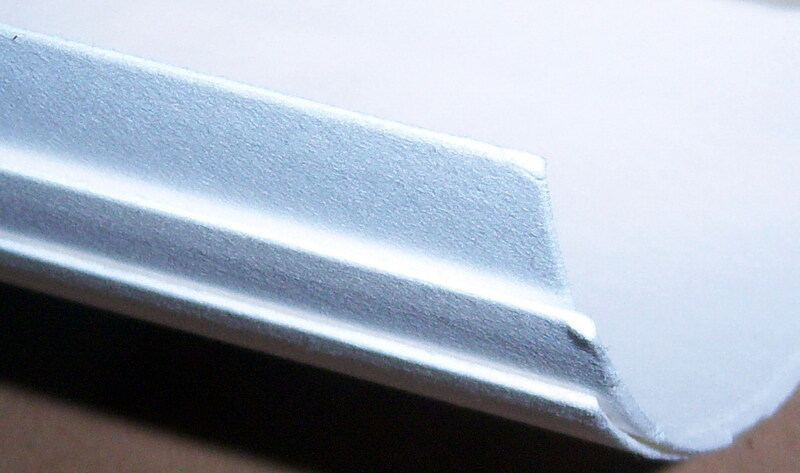 The 'skin' texture is only on one side of this 1/16" thick material. The other side is regular closed cell neoprene. You can click on any of the pictures to see a blow-up of what the material looks like close up. 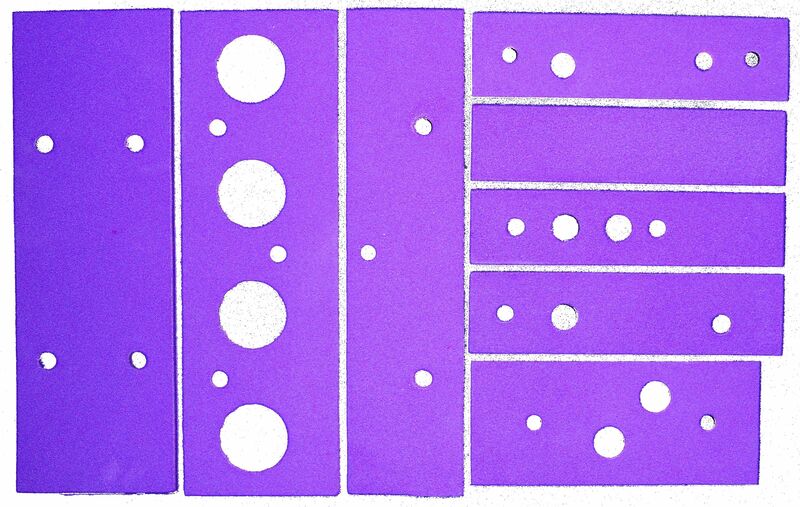 The first picture shows an area that is 6" x 12". 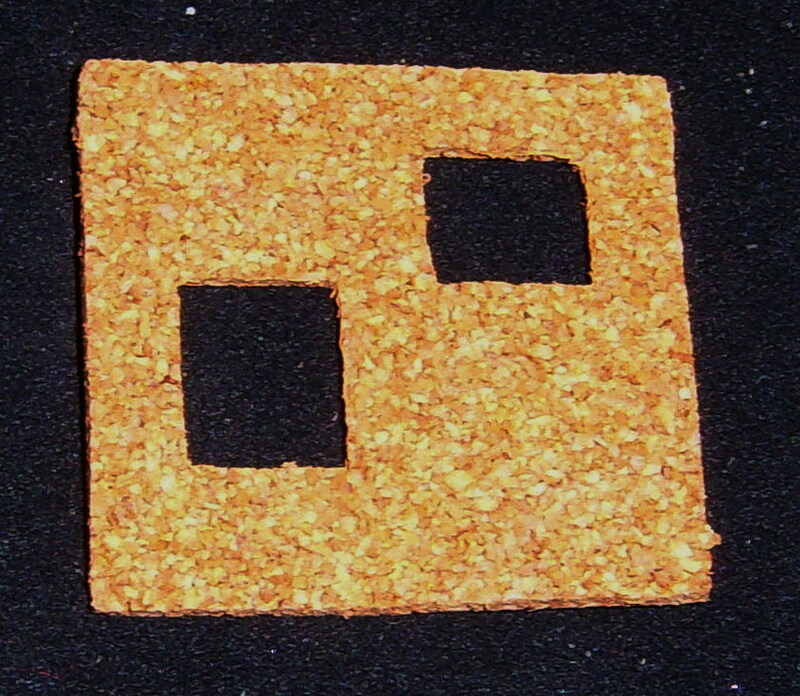 The second picture shows an area that is 1" x 1". The third picture shows what a one inch piece looks like when glued to glass with ONE DROP of PVC-E glue. 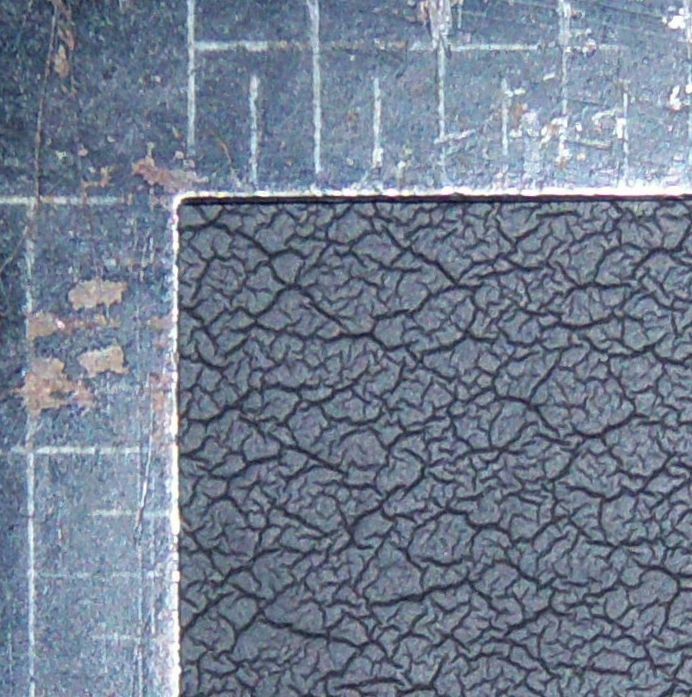 As you can see, the texture is completely filled in by the glue. There are no voids. 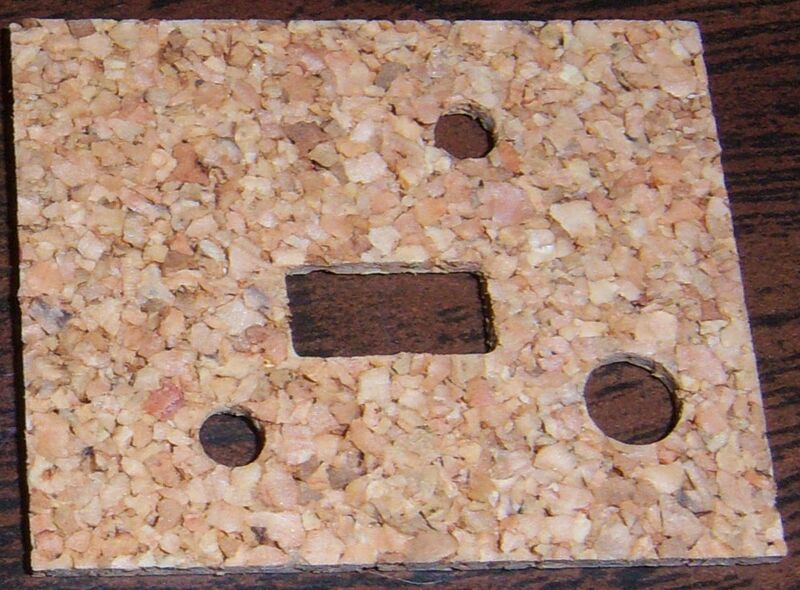 This type of material is excellent for gaskets where two softer woods, like poplar or birch, are joined. Examples are things like the access panels on reservoir bellows and air motor governors. This material is NOT available in long strips. 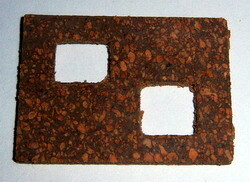 The maximum size of any one piece is two square feet (12" x 24"), which sells for $10.00, or $5.00/sq.ft. This is very high quality blotter paper that has been specifically selected for use as gasket material in player pianos. 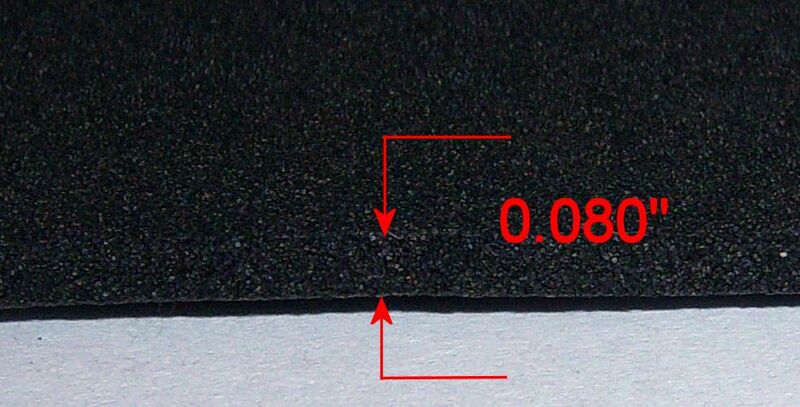 It is available in two thicknesses: 0.032" and 0.020". The thicker material, which is 100% rag cotton, is most often used where two pieces of wood are joined together. The thinner material, which is unbuffed alpha cellulose, is what is most often used for the gaskets under metal valve plates. The cost for the thicker material is $5.30 per square foot. (Sheet size: 23-3/4" x 37": cost $32.34/sheet). The cost for the thinner material is $3.28 per square foot. (Sheet size: 23-3/4" x 37": cost $20.02). We will cut any size piece you want up to the maximum size of the sheet for $1.50/cut. 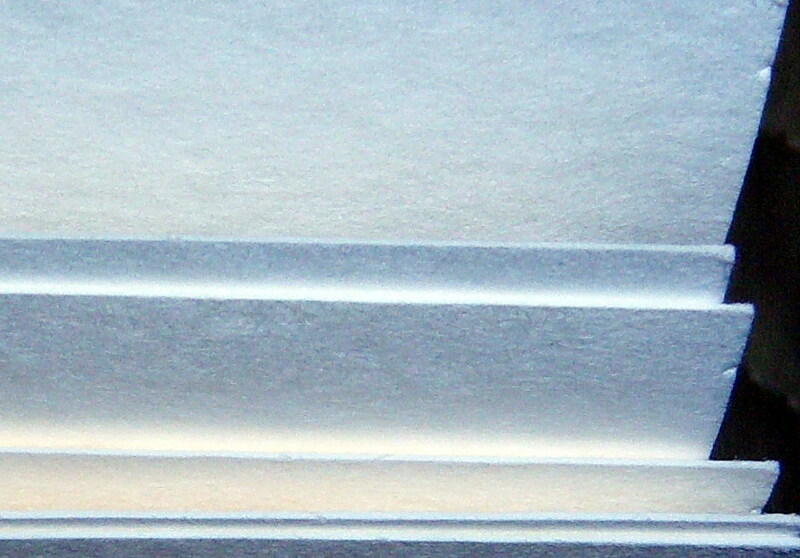 We will NOT cut any strips narrower in width than 1" (one inch). Also, we will NOT custom make gaskets.